GlobalFoundries, once the manufacturing arm of AMD, have officially announced they’re tooling up their Saratoga County campus to produce 7nm FinFET technology in 2018, potentially overtaking Intel in the race for the smallest transistors around. But what’s the best processor around right now? Check out our guide to the best CPUs for gaming. The production process wars then are really starting to heat up. We’ve got Intel, TSMC and GlobalFoundries all figuring out where to take semiconductor manufacturing now that we’ve finally got 16/14nm processors and graphics chips sorted. The expected next step was to take transistor sizes to 10nm – indeed that is where both TSMC and Intel are going with their next production node size – but GlobalFoundries have decided to go one better and head straight for a single digit lithography. We mentioned last week about Intel’s plans for 10nm production, and how they seem to be anticipating initially limited yields for their new process by restricting 10nm processors to mobile parts. The high-end notebook and desktop versions are set to still be carrying on with the maturing 14nm lithography with the Coffee Lake generation of chips in 2018. Now it looks like at the same time as Intel are pushing out 10nm Cannonlake CPUs GlobalFoundries will be working on product designs with their partners for 7nm processors. GlobalFoundries have said they expect to be ready for customer designs in the second half of 2017 with early production starting in 2018. 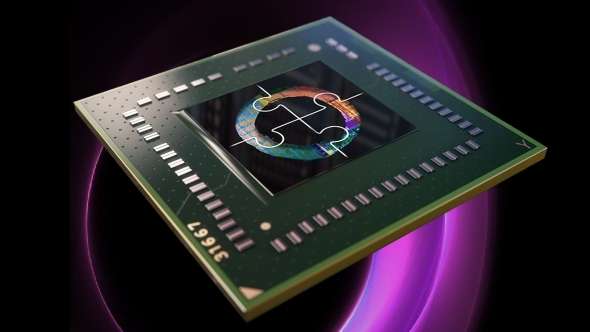 “Leading-edge technologies like GlobalFoundries 7nm FinFET are an important part of how we deliver our long-term roadmap of computing and graphics products that are capable of powering the next generation of computing experiences,” said AMD CEO, Dr. Lisa Su. The thinking seems to be that GlobalFoundries sees the expense of researching and tooling up their manufacturing for 10nm not worth it for the limited performance and efficiency improvements the small change in process could offer in the short term. The 7nm process node is likely to be one which hangs around as ensuring stable silicon sub-7nm is going to take a lot of research effort and time. If indeed silicon is what continues to be used. GlobalFoundries are estimating the 7nm node will be able to deliver more than double the transistor density and a potential 30% performance boost over the current leading edge 16/14nm designs on the market.